Our project reminds us of the three crosses standing in a place called Golgotha. And of the extreme suffering Jesus endured to give us a chance to one day be with Him in Heaven. Our project called, “A Place Called Golgotha,” can be found in the 5th Grade Projects Gallery in the sidebar. Click the image on the left for a clearer view. 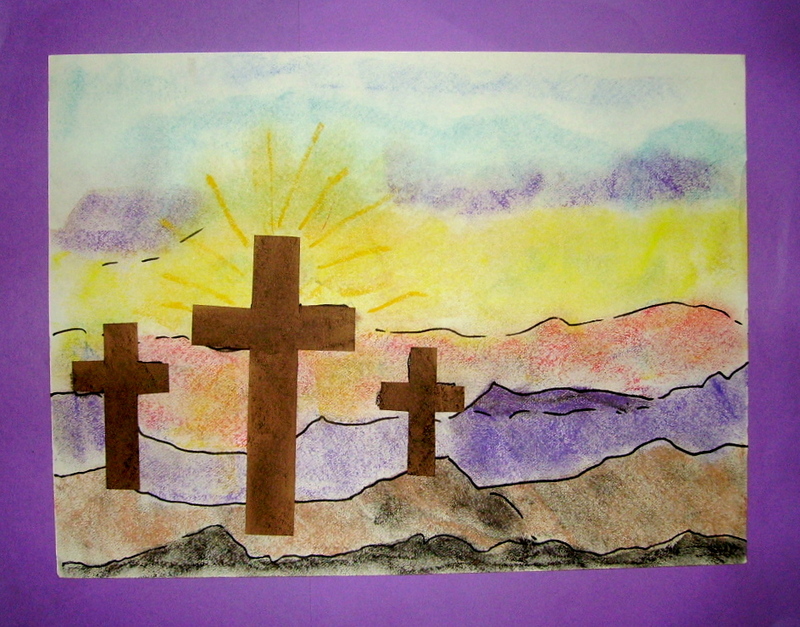 This entry was posted in 5th Grade and tagged 5th Grade, a place called golgotha, arts and crafts for kids, childrens lenten crafts and art, crafts for lent for children to make, crafts to make for lent, golgotha, lenten crafts for kids, three crosses, torn paper. Bookmark the permalink.